The flowerbed has gotten to be quite a mess, as I just let everything die and get messy over the winter. So Adam and I spent the day today getting it into shape for spring. 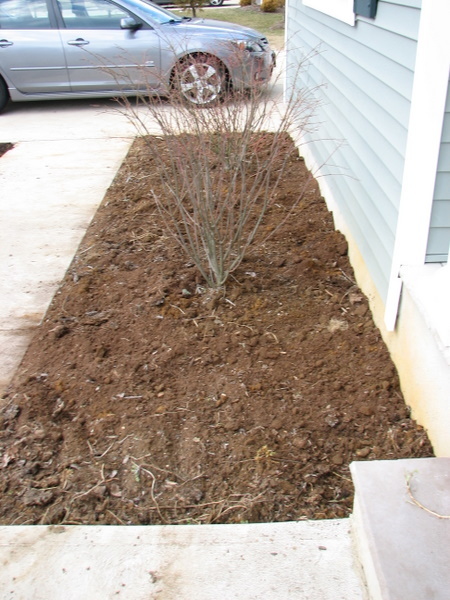 Here’s the flowerbed after I pulled out all the weeds (including one that I swear went all the way under the house) and got rid of the short shrubs the builder had put in, which I never liked. 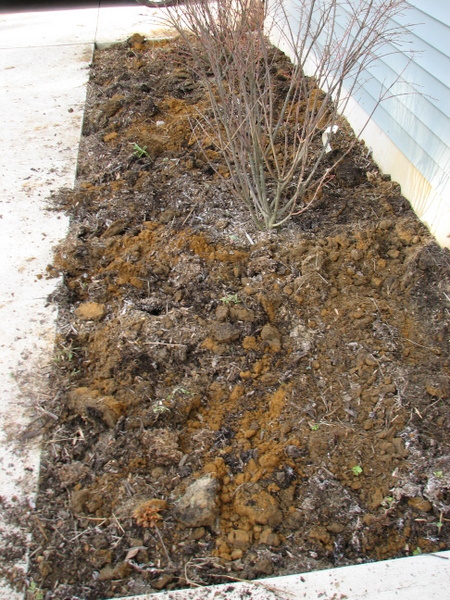 Here’s the flowerbed after we laid down some peat moss, turned everything over, and got it ready for flowers. We’ll be planting in early April. 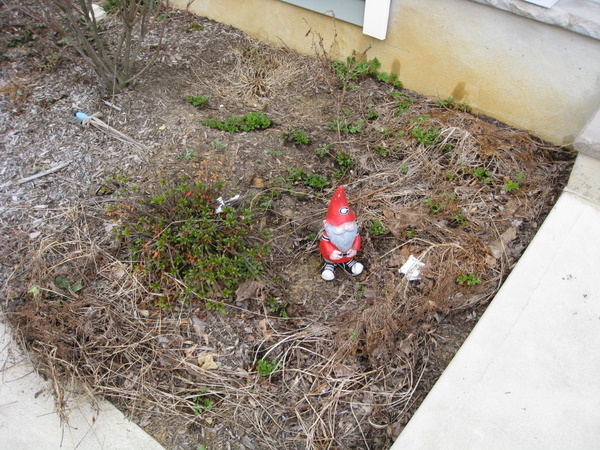 We’ve also decided to put in a new flowerbed this year all along the walk up to our front door. 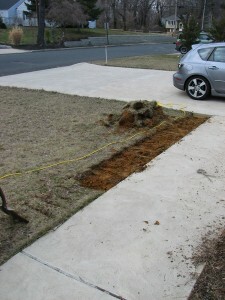 So while I was working on the old flowerbed, Adam started digging out the new flowerbed. 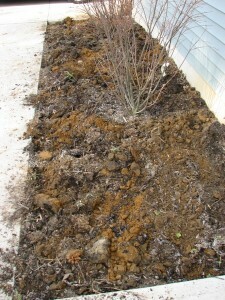 Then we laid down some new top soil. 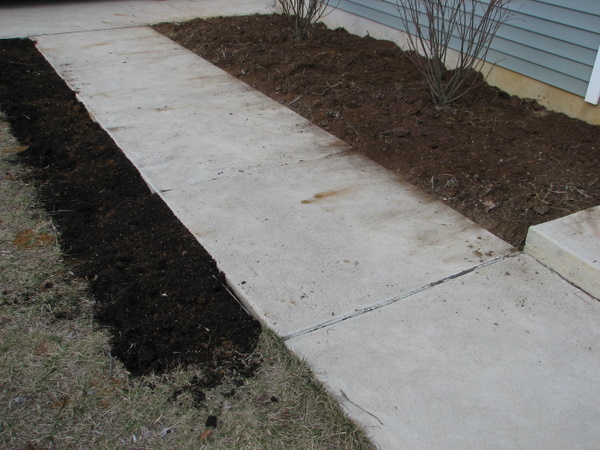 Eventually the new bed will go all the way around the walkway, but this is far as we got with it this weekend.